"Turgenev" redirects here. For the surname, see Turgenev (surname). Ivan Sergeyevich Turgenev (English: /tʊrˈɡɛnjɛf, -ˈɡeɪn-/; Russian: Иван Сергеевич Тургенев[note 1], tr. Iván Sergéyevich Turgénev, IPA: [ɪˈvan sʲɪrˈɡʲeɪvʲɪtɕ tʊrˈɡʲenʲɪf]; November 9 [O.S. October 28] 1818 – September 3, 1883) was a Russian novelist, short story writer, poet, playwright, translator and popularizer of Russian literature in the West. His first major publication, a short story collection entitled A Sportsman's Sketches (1852), was a milestone of Russian realism, and his novel Fathers and Sons (1862) is regarded as one of the major works of 19th-century fiction. Ivan Sergeyevich Turgenev was born in Oryol (modern-day Oryol Oblast, Russia) to noble Russian parents Sergei Nikolaevich Turgenev (1793–1834), a colonel in the Russian cavalry who took part in the Patriotic War of 1812, and Varvara Petrovna Turgeneva (née Lutovinova; 1787–1850). His father belonged to an old, but impoverished Turgenev family of Tula aristocracy that traces its history to the 15th century when a Tatar Mirza Lev Turgen (Ivan Turgenev after baptizing) left the Golden Horde to serve Vasily II of Moscow. Ivan's mother came from a wealthy noble Lutovinov house of the Oryol Governorate. She spent an unhappy childhood under the tyrannical stepfather and left his house after her mother's death to live with her uncle. At the age of 26 she inherited a huge fortune from him. In 1816, she married Turgenev. Ivan, his brothers Nikolai and Sergei were raised by their mother, a very educated, but authoritarian woman, in the Spasskoe-Lutovinovo family estate that was granted to their ancestor Ivan Ivanovich Lutovinov by Ivan the Terrible. Varvara Turgeneva later served as an inspiration for the landlady from Turgenev's Mumu. She surrounded her sons with foreign governesses; thus Ivan became fluent in French, German, and English. Their father spent little time with the family, and although he was not hostile toward them, his absence hurt Ivan's feelings (their relations are described in the autobiographical novel First Love). When he was four, the family made a trip through Germany and France. In 1827 the Turgenevs moved to Moscow to give their children a proper education. After the standard schooling for a son of a gentleman, Turgenev studied for one year at the University of Moscow and then moved to the University of Saint Petersburg from 1834 to 1837, focusing on Classics, Russian literature, and philology. During that time his father died from kidney stone disease, followed by his younger brother Sergei who died from epilepsy. From 1838 until 1841 he studied philosophy, particularly Hegel, and history at the University of Berlin. He returned to Saint Petersburg to complete his master's examination. Turgenev was impressed with German society and returned home believing that Russia could best improve itself by incorporating ideas from the Age of Enlightenment. Like many of his educated contemporaries, he was particularly opposed to serfdom. In 1841, Turgenev started his career in the Russian civil service and spent two years working for the Ministry of Interior (1843–1845). When Turgenev was a child, a family serf had read to him verses from the Rossiad of Mikhail Kheraskov, a celebrated poet of the 18th century. Turgenev's early attempts in literature, poems, and sketches gave indications of genius and were favorably spoken of by Vissarion Belinsky, then the leading Russian literary critic. During the latter part of his life, Turgenev did not reside much in Russia: he lived either at Baden-Baden or Paris, often in proximity to the family of the celebrated opera singer Pauline Viardot, with whom he had a lifelong affair. Turgenev never married, but he had some affairs with his family's serfs, one of which resulted in the birth of his illegitimate daughter, Paulinette. He was tall and broad-shouldered, but was timid, restrained, and soft-spoken. When Turgenev was 19, while traveling on a steamboat in Germany, the boat caught fire and Turgenev reacted in a cowardly manner. Rumors circulated in Russia and followed him for his entire career, providing the basis for his story "A Fire at Sea". His closest literary friend was Gustave Flaubert, with whom he shared similar social and aesthetic ideas. Both rejected extremist right and left political views, and carried a nonjudgmental, although rather pessimistic, view of the world. His relations with Leo Tolstoy and Fyodor Dostoyevsky were often strained, as the two were, for various reasons, dismayed by Turgenev's seeming preference for Western Europe. Turgenev, unlike Tolstoy and Dostoyevsky, lacked religious motives in his writings, representing the more social aspect to the reform movement. He was considered to be an agnostic. Tolstoy, more than Dostoyevsky, at first anyway, rather despised Turgenev. While traveling together in Paris, Tolstoy wrote in his diary, "Turgenev is a bore." His rocky friendship with Tolstoy in 1861 wrought such animosity that Tolstoy challenged Turgenev to a duel, afterwards apologizing. The two did not speak for 17 years, but never broke family ties. Dostoyevsky parodies Turgenev in his novel The Devils (1872) through the character of the vain novelist Karmazinov, who is anxious to ingratiate himself with the radical youth. However, in 1880, Dostoyevsky's speech at the unveiling of the Pushkin monument brought about a reconciliation of sorts with Turgenev, who, like many in the audience, was moved to tears by his rival's eloquent tribute to the Russian spirit. Turgenev occasionally visited England, and in 1879 the honorary degree of Doctor of Civil Law was conferred upon him by the University of Oxford. Turgenev's health declined during his later years. In January 1883, an aggressive malignant tumor (liposarcoma) was removed from his suprapubic region, but by then the tumor had metastasized in his upper spinal cord, causing him intense pain during the final months of his life. On 3 September 1883, Turgenev died of a spinal abscess, a complication of the metastatic liposarcoma, in his house at Bougival near Paris. His remains were taken to Russia and buried in Volkovo Cemetery in St. Petersburg. On his death bed he pleaded with Tolstoy: "My friend, return to literature!" After this Tolstoy wrote such works as The Death of Ivan Ilyich and The Kreutzer Sonata. Turgenev first made his name with A Sportsman's Sketches (Записки охотника), also known as Sketches from a Hunter's Album or Notes of a Hunter, a collection of short stories, based on his observations of peasant life and nature, while hunting in the forests around his mother's estate of Spasskoye. Most of the stories were published in a single volume in 1852, with others being added in later editions. The book is credited with having influenced public opinion in favour of the abolition of serfdom in 1861. Turgenev himself considered the book to be his most important contribution to Russian literature; it is reported that Pravda, and Tolstoy, among others, agreed wholeheartedly, adding that Turgenev's evocations of nature in these stories were unsurpassed. One of the stories in A Sportsman's Sketches, known as "Bezhin Lea" or "Byezhin Prairie", was later to become the basis for the controversial film Bezhin Meadow (1937), directed by Sergei Eisenstein. In 1852, when his first major novels of Russian society were still to come, Turgenev wrote an obituary for Nikolai Gogol, intended for publication in the Saint Petersburg Gazette. The key passage reads: "Gogol is dead!... What Russian heart is not shaken by those three words?... He is gone, that man whom we now have the right (the bitter right, given to us by death) to call great." The censor of Saint Petersburg did not approve of this and banned publication, but the Moscow censor allowed it to be published in a newspaper in that city. The censor was dismissed; but Turgenev was held responsible for the incident, imprisoned for a month, and then exiled to his country estate for nearly two years. It was during this time that Turgenev wrote his short story Mumu ("Муму") in 1854. The story tells a tale of a deaf and mute peasant who is forced to drown the only thing in the world which brings him happiness, his dog Mumu. Like his A Sportsman's Sketches (Записки охотника), this work takes aim at the cruelties of a serf society. This work was later applauded by John Galsworthy who claimed, "no more stirring protest against tyrannical cruelty was ever penned in terms of art." While he was still in Russia in the early 1850s, Turgenev wrote several novellas (povesti in Russian): "The Diary of a Superfluous Man" ("Дневник лишнего человека"), Faust ("Фауст"), The Lull ("Затишье"), expressing the anxieties and hopes of Russians of his generation. In the 1840s and early 1850s, during the rule of Tsar Nicholas I, the political climate in Russia was stifling for many writers. This is evident in the despair and subsequent death of Gogol, and the oppression, persecution, and arrests of artists, scientists, and writers. During this time, thousands of Russian intellectuals, members of the intelligentsia, emigrated to Europe. Among them were Alexander Herzen and Turgenev himself, who moved to Western Europe in 1854, although this decision probably had more to do with his fateful love for Pauline Viardot than anything else. The following years produced the novel Rudin ("Рудин"), the story of a man in his thirties who is unable to put his talents and idealism to any use in the Russia of Nicholas I. Rudin is also full of nostalgia for the idealistic student circles of the 1840s. Following the thoughts of the influential critic Vissarion Belinsky, Turgenev abandoned Romantic idealism for a more realistic style. Belinsky defended sociological realism in literature; Turgenev portrayed him in Yakov Pasinkov (1855). During the period of 1853–62 Turgenev wrote some of his finest stories as well as the first four of his novels: Rudin ("Рудин") (1856), A Nest of the Gentry ("Дворянское гнездо") (1859), On the Eve ("Накануне") (1860) and Fathers and Sons ("Отцы и дети") (1862). Some themes involved in these works include the beauty of early love, failure to reach one's dreams, and frustrated love. Great influences on these works are derived from his love of Pauline and his experiences with his mother, who controlled over 500 serfs with the same strict demeanor in which she raised him. In 1858 Turgenev wrote the novel A Nest of the Gentry ("Дворянское гнездо") also full of nostalgia for the irretrievable past and of love for the Russian countryside. It contains one of his most memorable female characters, Liza, whom Dostoyevsky paid tribute to in his Pushkin speech of 1880, alongside Tatiana and Tolstoy's Natasha Rostova. Alexander II ascended the Russian throne in 1855, and the political climate became more relaxed. In 1859, inspired by reports of positive social changes, Turgenev wrote the novel On the Eve ("Накануне") (published 1860), portraying the Bulgarian revolutionary Insarov. The following year saw the publication of one of his finest novellas, First Love ("Первая любовь"), which was based on bitter-sweet childhood memories, and the delivery of his speech ("Hamlet and Don Quixote", at a public reading in Saint Petersburg) in aid of writers and scholars suffering hardship. The vision presented therein of man torn between the self-centered skepticism of Hamlet and the idealistic generosity of Don Quixote is one that can be said to pervade Turgenev's own works. It is worth noting that Dostoyevsky, who had just returned from exile in Siberia, was present at this speech, for eight years later he was to write The Idiot, a novel whose tragic hero, Prince Myshkin, resembles Don Quixote in many respects. Turgenev, whose knowledge of Spanish, thanks to his contact with Pauline Viardot and her family, was good enough for him to have considered translating Cervantes's novel into Russian, played an important role in introducing this immortal figure of world literature into the Russian context. 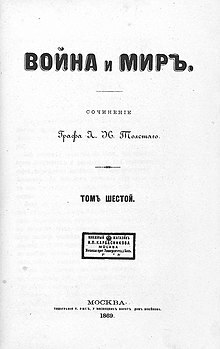 Fathers and Sons ("Отцы и дети"), Turgenev's most famous and enduring novel, appeared in 1862. Its leading character, Eugene Bazarov, considered the 'first Bolshevik' in Russian literature, was in turn heralded and reviled as either a glorification or a parody of the 'new men' of the 1860s. The novel examined the conflict between the older generation, reluctant to accept reforms, and the nihilistic youth. In the central character, Bazarov, Turgenev drew a classical portrait of the mid-nineteenth-century nihilist. Fathers and Sons was set during the six-year period of social ferment, from Russia's defeat in the Crimean War to the Emancipation of the Serfs. Hostile reaction to Fathers and Sons ("Отцы и дети") prompted Turgenev's decision to leave Russia. As a consequence he also lost the majority of his readers. Many radical critics at the time (with the notable exception of Dimitri Pisarev) did not take Fathers and Sons seriously; and, after the relative critical failure of his masterpiece, Turgenev was disillusioned and started to write less. Turgenev's next novel, Smoke ("Дым"), was published in 1867 and was again received less than enthusiastically in his native country, as well as triggering a quarrel with Dostoyevsky in Baden-Baden. His last substantial work attempting to do justice to the problems of contemporary Russian society, Virgin Soil ("Новь"), was published in 1877. Stories of a more personal nature, such as Torrents of Spring ("Вешние воды"), King Lear of the Steppes ("Степной король Лир"), and The Song of Triumphant Love ("Песнь торжествующей любви"), were also written in these autumnal years of his life. Other last works included the Poems in Prose and "Clara Milich" ("After Death"), which appeared in the journal European Messenger. Turgenev wrote on themes similar to those found in the works of Tolstoy and Dostoyevsky, but he did not approve of the religious and moral preoccupations that his two great contemporaries brought to their artistic creation. Turgenev was closer in temperament to his friends Gustave Flaubert and Theodor Storm, the North German poet and master of the novella form, who also often dwelt on memories of the past and evoked the beauty of nature. Turgenev late in his career. Turgenev's artistic purity made him a favorite of like-minded novelists of the next generation, such as Henry James and Joseph Conrad, both of whom greatly preferred Turgenev to Tolstoy and Dostoyevsky. James, who wrote no fewer than five critical essays on Turgenev's work, claimed that "his merit of form is of the first order" (1873) and praised his "exquisite delicacy", which "makes too many of his rivals appear to hold us, in comparison, by violent means, and introduce us, in comparison, to vulgar things" (1896). Vladimir Nabokov, notorious for his casual dismissal of many great writers, praised Turgenev's "plastic musical flowing prose", but criticized his "labored epilogues" and "banal handling of plots". Nabokov stated that Turgenev "is not a great writer, though a pleasant one", and ranked him fourth among nineteenth-century Russian prose writers, behind Tolstoy, Gogol, and Anton Chekhov, but ahead of Dostoyevsky. His idealistic ideas about love, specifically the devotion a wife should show her husband, were cynically referred to by characters in Chekhov's "An Anonymous Story". Isaiah Berlin acclaimed Turgenev's commitment to humanism, pluralism, and gradual reform over violent revolution as representing the best aspects of Russian liberalism. 1859 – Dvoryanskoye gnezdo (Дворянское гнездо), English translations: A Nest of Gentlefolk (Coulson), A House of Gentlefolk (Garnett), Home of the Gentry (Freeborn). Also known as Liza. ^ In Turgenev's day, his name was written Иванъ Сергѣевичъ Тургеневъ. ^ "Turgenev". Random House Webster's Unabridged Dictionary. ^ Richard Pipes, U.S.–Soviet Relations in the Era of Détente: a Tragedy of Errors, Westview Press (1981), p. 17. ^ a b c d e f Morfill, William Richard (1911). "Turgueniev, Ivan" . In Chisholm, Hugh (ed.). Encyclopædia Britannica. 27 (11th ed.). Cambridge University Press. p. 417. ^ Harold Bloom, ed. (2003). Ivan Turgenev. Chelsea House Publishers. pp. 95–96. ISBN 9780791073995. For example, Leonard Schapiro, Turgenev, His Life and Times (New York: Random, 1978) 214, writes about Turgenev's agnosticism as follows: "Turgenev was not a determined atheist; there is ample evidence which shows that he was an agnostic who would have been happy to embrace the consolations of religion, but was, except perhaps on some rare occasions, unable to do so"; and Edgar Lehrman, Turgenev's Letters (New York: Knopf, 1961) xi, presents still another interpretation for Turgenev's lack of religion, suggesting literature as a possible substitution: "Sometimes Turgenev's attitude toward literature makes us wonder whether, for him, literature was not a surrogate religion—something in which he could believe unhesitatingly, unreservedly, and enthusiastically, something that somehow would make man in general and Turgenev in particular a little happier." ^ Ceelen, W, Creytens D, Michel L.: "The Cancer Diagnosis, Surgery and Cause of Death of Ivan Turgenev." Acta Chirurgica Belgica 115.3 (2015): 241–46. ^ Tolstoy said after Turgenev's death: "His stories of peasant life will forever remain a valuable contribution to Russian literature. I have always valued them highly. And in this respect none of us can stand comparison with him. Take, for example, Living Relic (Живые мощи), Loner (Бирюк), and so on. All these are unique stories. And as for his nature descriptions, these are true pearls, beyond the reach of any other writer!" Quoted by K.N. Lomunov, "Turgenev i Lev Tolstoi: Tvorcheskie vzaimootnosheniia", in S.E. Shatalov (ed. ), I.S. Turgenev v sovremennom mire (Moscow: Nauka, 1987). ^ See the "Influences" section in the Infobox of the article on Dostoyevsky for a reference to a study dealing with precisely this issue. ^ Isaiah Berlin, Russian Thinkers (Penguin, 1994), pp. 264–305. ^ See Karl Ernst Laage, Theodor Storm. Biographie (Heide: Boyens, 1999). ^ See Henry James, European Writers & The Prefaces (The Library of America: New York, 1984). ^ See Vladimir Nabokov, Lectures on Russian Literature (HBJ, San Diego: 1981). ^ Chebankova, Elena (2014). "Contemporary Russian liberalism" (PDF). Post-Soviet Affairs. 30 (5): 341–69. doi:10.1080/1060586X.2014.892743. Cecil, David. 1949. "Turgenev," in David Cecil, Poets and Story-tellers: A Book of Critical Essays. New York: Macmillan Co.: 123–38. Freeborn, Richard. 1960. Turgenev: the Novelist's Novelist, a Study. London: Oxford University Press. Magarshack, David. 1954. Turgenev: a Life. London: Faber and Faber. Sokolowska, Katarzyna. 2011. Conrad and Turgenev: Towards the Real. Boulder: Eastern European Monographs. Troyat, Henri. 1988. Turgenev. New York: Dutton. Yarmolinsky, Avrahm. 1959. Turgenev, the Man, his Art and his Age. New York: Orion Press. Wikimedia Commons has media related to Ivan Turgenev. English translation of eight late prose poems by Alexander Stillmark in Modern Poetry in Translation, No.11 (1997). Fyodor Mikhailovich Dostoevsky, sometimes transliterated Dostoyevsky, was a Russian novelist, short story writer, essayist, journalist and philosopher. Dostoevsky's literary works explore human psychology in the troubled political, social, and spiritual atmospheres of 19th-century Russia, and engage with a variety of philosophical and religious themes. His most acclaimed works include Crime and Punishment (1866), The Idiot (1869), Demons (1872) and The Brothers Karamazov (1880). Dostoevsky's oeuvre consists of 11 novels, three novellas, 17 short stories and numerous other works. Many literary critics rate him as one of the greatest psychologists in world literature. His 1864 novella Notes from Underground is considered to be one of the first works of existentialist literature. War and Peace is a novel by the Russian author Leo Tolstoy. It is regarded as a central work of world literature and one of Tolstoy's finest literary achievements. Ivan Alexandrovich Goncharov was a Russian novelist best known for his novels A Common Story (1847), Oblomov (1859), and The Precipice (1869). He also served in many official capacities, including the position of censor. Nikolay Alexeyevich Nekrasov was a Russian poet, writer, critic and publisher, whose deeply compassionate poems about peasant Russia made him the hero of liberal and radical circles of Russian intelligentsia, as represented by Vissarion Belinsky, Nikolay Chernyshevsky and Fyodor Dostoyevsky. He is credited with introducing into Russian poetry ternary meters and the technique of dramatic monologue. As the editor of several literary journals, notably Sovremennik, Nekrasov was also singularly successful and influential. Constance Clara Garnett was an English translator of nineteenth-century Russian literature. Garnett was one of the first English translators of Leo Tolstoy, Fyodor Dostoyevsky and Anton Chekhov and introduced them on a wide basis to the English-speaking public. Count Aleksey Konstantinovich Tolstoy, often referred to as A. K. Tolstoy, was a Russian poet, novelist and playwright, considered to be the most important nineteenth-century Russian historical dramatist, primarily on the strength of his dramatic trilogy The Death of Ivan the Terrible (1866), Tsar Fyodor Ioannovich (1868), and Tsar Boris (1870). He also gained fame for his satirical works, published under his own name and under the collaborational pen name of Kozma Prutkov. His fictional works include the novella The Family of the Vourdalak, The Vampire (1841), and the historical novel Prince Serebrenni (1862). Aleksey Feofilaktovich Pisemsky was a Russian novelist and dramatist who was regarded as an equal of Ivan Turgenev and Fyodor Dostoyevsky in the late 1850s, but whose reputation suffered a spectacular decline after his fall-out with Sovremennik magazine in the early 1860s. A realistic playwright, along with Aleksandr Ostrovsky he was responsible for the first dramatization of ordinary people in the history of Russian theatre. "Pisemsky's great narrative gift and exceptionally strong grip on reality make him one of the best Russian novelists," according to D.S. Mirsky. Home of the Gentry, also translated as A Nest of the Gentlefolk and A Nest of the Gentry, is a novel by Ivan Turgenev published in the January 1859 issue of Sovremennik. It was enthusiastically received by the Russian society and remained his least controversial and most widely read novel until the end of the 19th century. It was turned into a movie by Andrey Konchalovsky in 1969. Svetolik Ranković was a Serbian prominent in the period of Realism. As a realist, he was the first Serbian author to take a significant step towards the emancipation of prose from the laws of event-centered narration. He was referred to as the Russian pupil for his elegant style. What Is To Be Done? is an 1863 novel written by the Russian philosopher, journalist and literary critic Nikolai Chernyshevsky. It was written in response to Fathers and Sons (1862) by Ivan Turgenev. The chief character is a woman, Vera Pavlovna, who escapes the control of her family and an arranged marriage to seek economic independence. The novel advocates the creation of small socialist cooperatives based on the Russian peasant commune, but oriented toward industrial production. The author promoted the idea that the intellectual's duty was to educate and lead the laboring masses in Russia along a path to socialism that bypassed capitalism. One of the characters in the novel, Rakhmetov (Рахметов), became an emblem of the philosophical materialism and nobility of Russian radicalism despite his minor role. The novel also expresses, in one character's dream, a society gaining "eternal joy" of an earthly kind. The novel has been called "a handbook of radicalism" and led to the founding of the Land and Liberty society. Dmitry Vasilyevich Grigorovich was a Russian writer, best known for his first two novels, The Village and Anton Goremyka, and lauded as the first author to have realistically portrayed the life of the Russian rural community and openly condemn the system of serfdom. On the Eve is the third novel by Russian writer Ivan Turgenev. It has elements of social comedy but fell foul of radical critics who advocated the need of more overt reform. Gleb Ivanovich Uspensky, was a Russian writer, and a prominent figure of the Narodnik movement. Alexander Vasilyevich Druzhinin, , was a Russian writer, translator, and magazine editor. Ivan Ivanovich Panaev was a Russian writer, literary critic, journalist and magazine publisher. Mumu is a short story by Ivan Turgenev, a Russian novelist and story writer, written in 1854.